Welcome to the weekend !!!! Gah, I have so much blogging catching up to do .. I'm going to be busy. 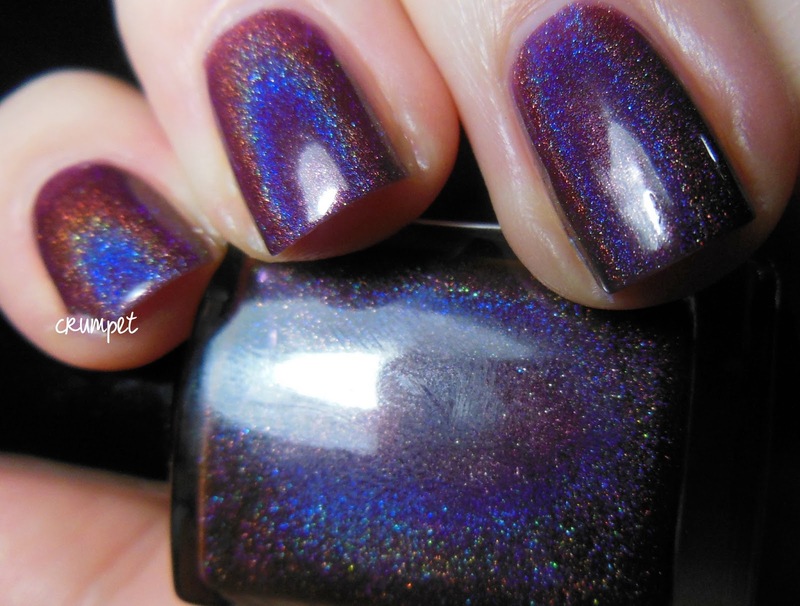 Anyway, first things first - WILL YOU LOOK AT THIS POLISH!!??? 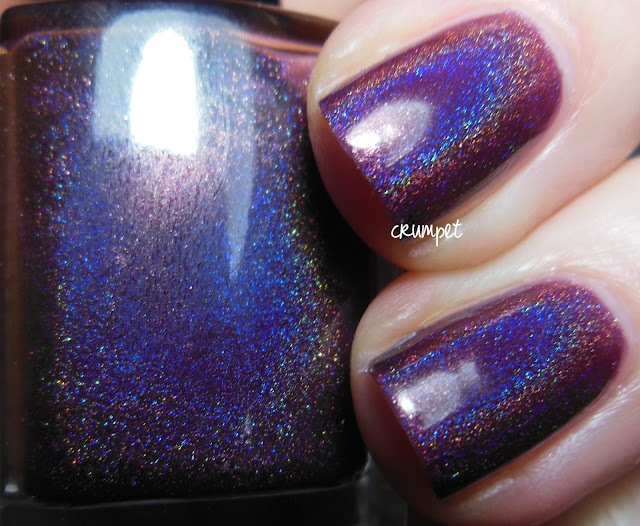 I've been teasing people a lot with this polish since I received it a couple of weeks ago, and now you finally get chance to find out what it is and how and where and when to buy it :) Oh, and yes, there is a CRAPTON of photos. But it had to be done. 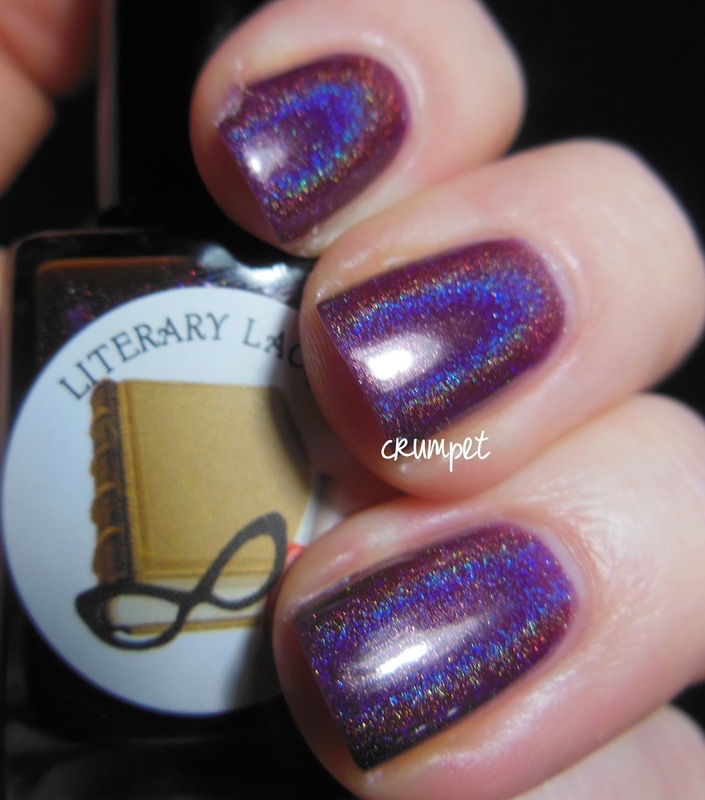 This is If It Pleases You from Literary Lacquers. 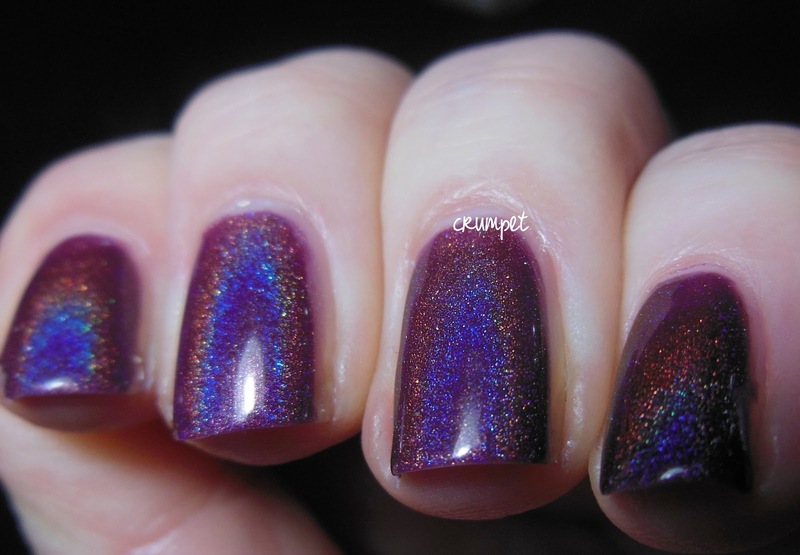 It is a purple holo. But wait. 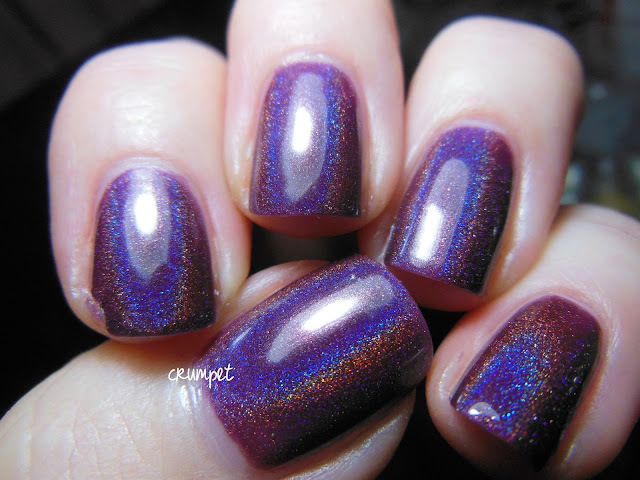 It is no ordinary purple holo, noooooooo. 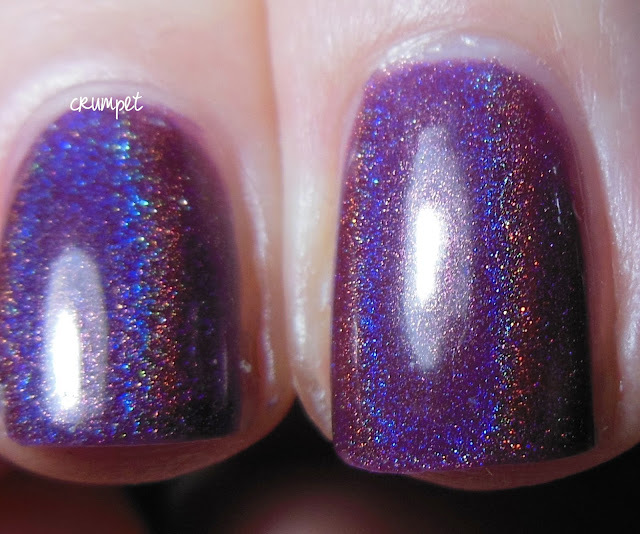 As most of you know, I am a purple whore and a holo whore, and over the years I must have owned at least 25 different purple holos (yes, there really ARE that many out there lol). What makes this one so special is that it sits on a brown axis, rather than the traditional blue axis, and that just opens up a whole new realm of lovely. 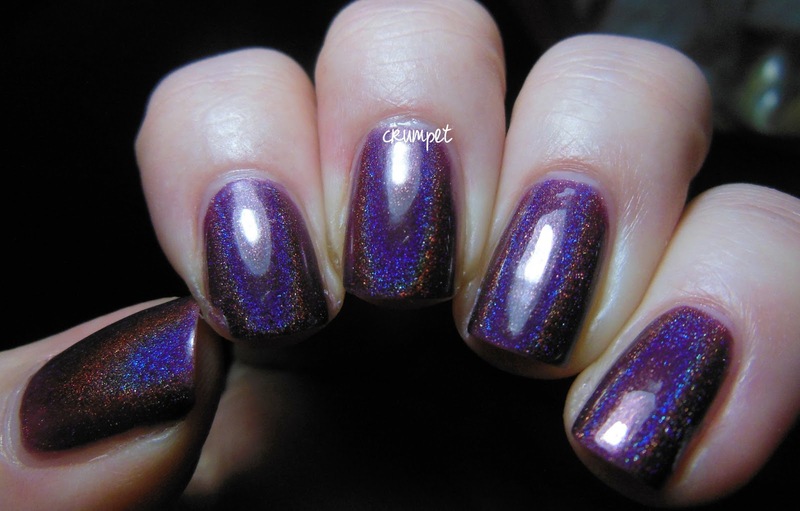 The brown adds a depth and glory that is just perfect, and which makes this my all time favourite purple holo apart from OPI DS Original. I think this looks like a bruise - deep and fathomless. 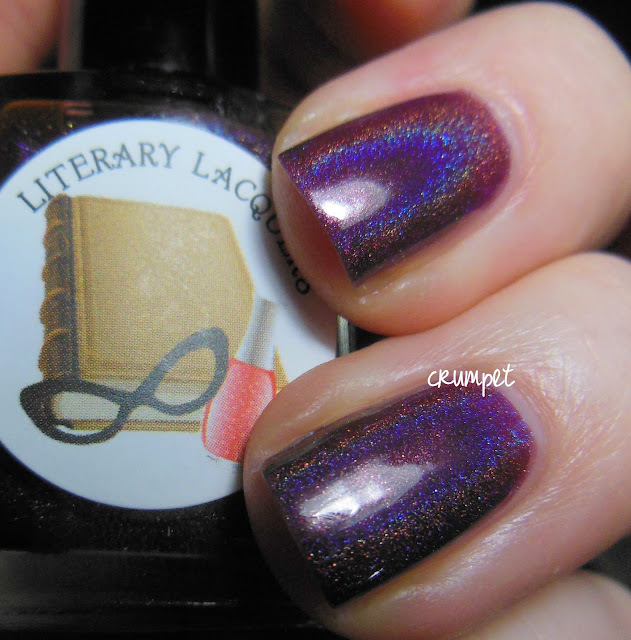 In other lights, it looks like a purpleberry hot chocolate :), like a wounded plum, decaying fruit, and dying splendour. 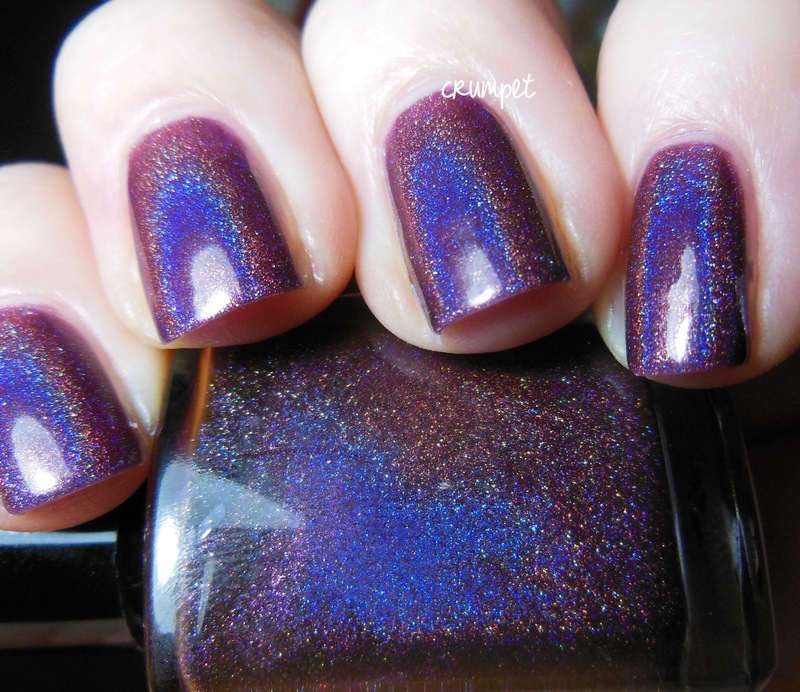 This polish does not come from a happy clappy place, but is all the richer for it. 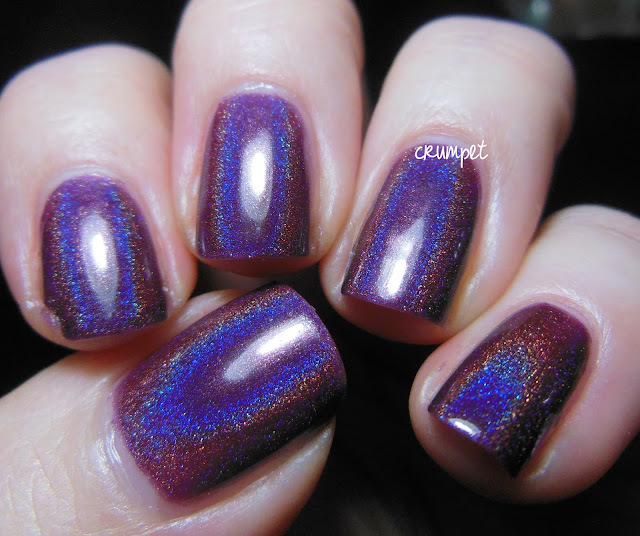 As you can tell, I am totally in love with this polish. Amy has created something truly special. 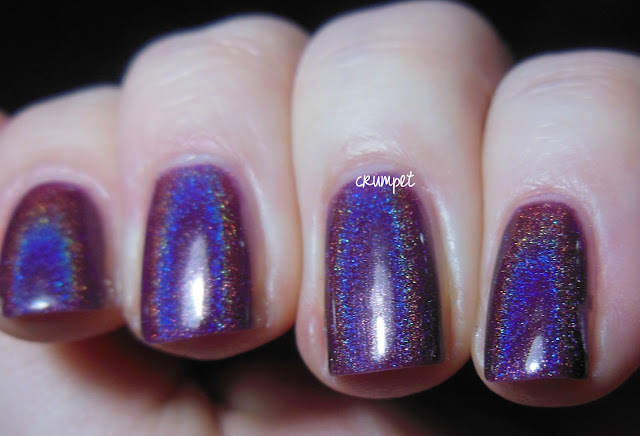 In terms of the holo, it scores 10 / 10. It's linear, and super fine - my favourite combination. And it BENDS, wow does it bend. 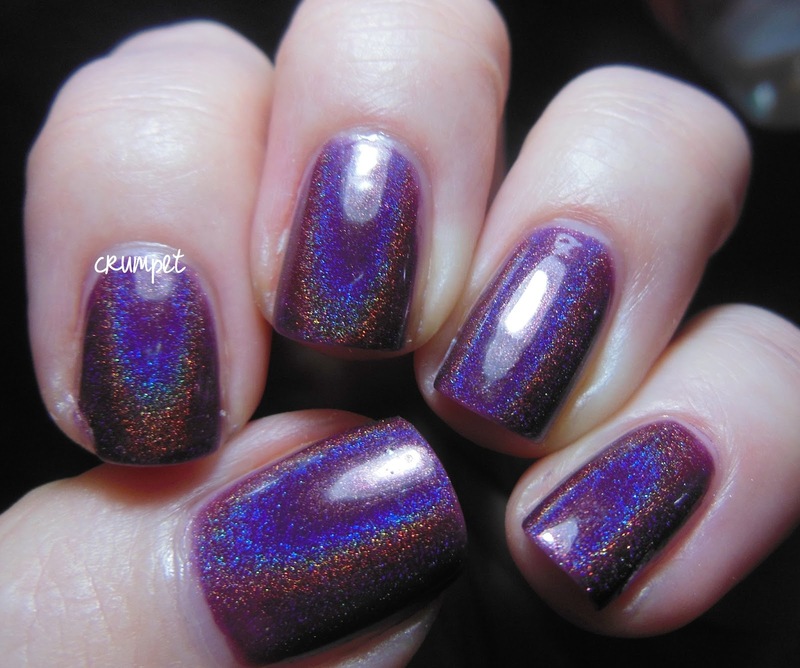 Seriously, don't waste money on the purple holo from China Glaze, buy this one. You won't regret it. 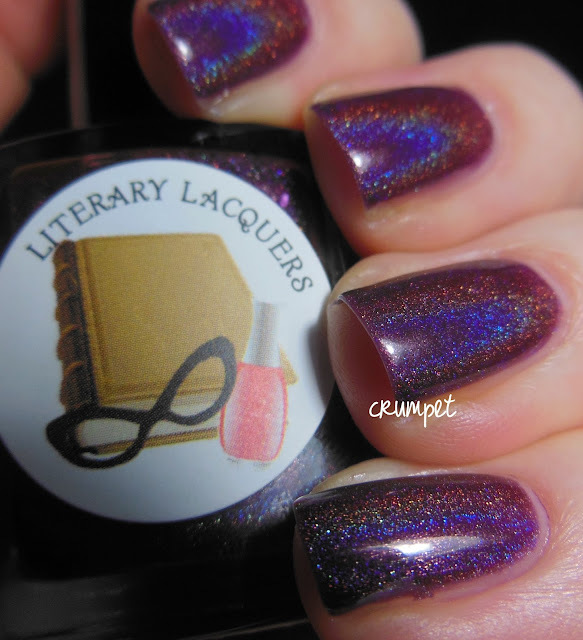 Literary Lacquers are for sale HERE - this polish goes on sale on Monday, together with the rest of the collection. 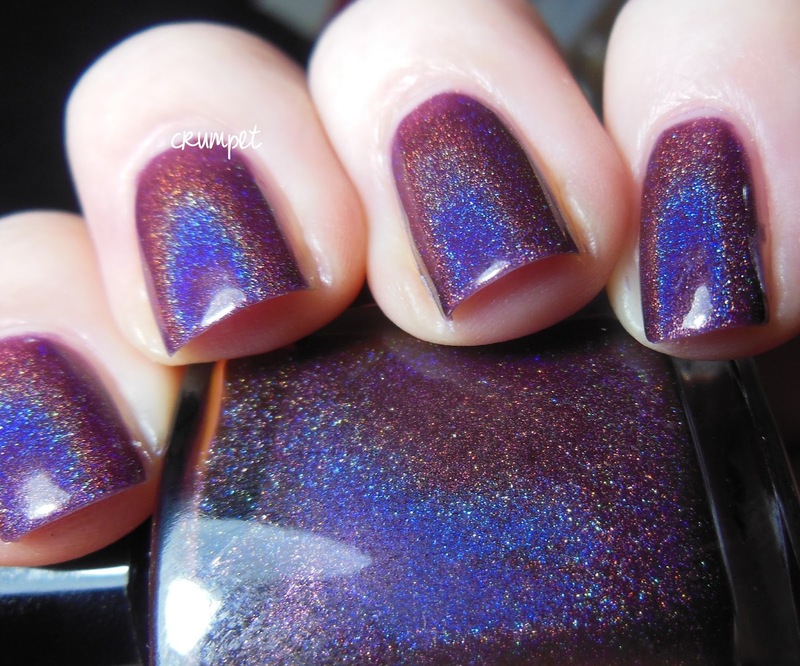 Those babies are already here too and I have to tell you, there are some amazing polishes in there. 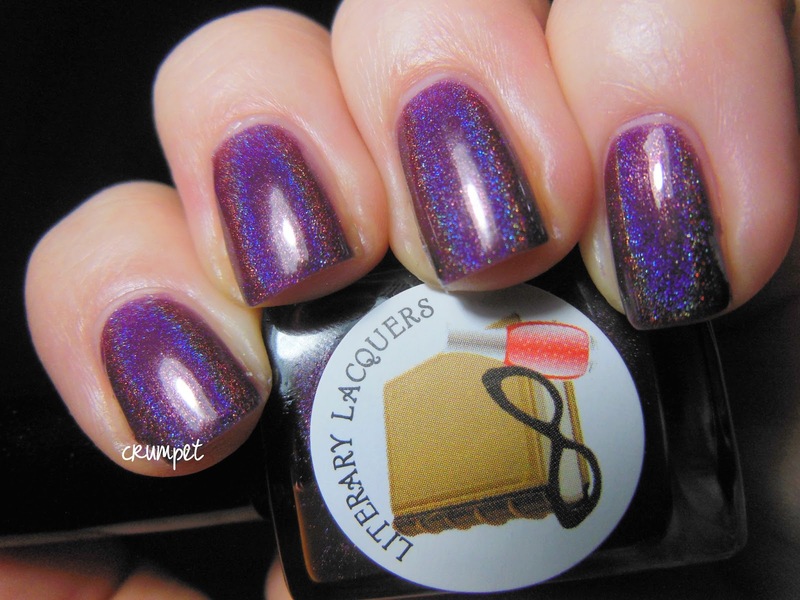 I'll try and get swatches up as quickly as I can. You can also follow Amy on Facebook HERE.